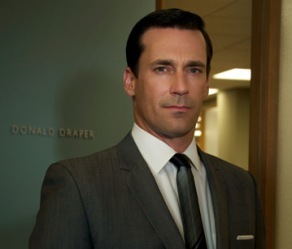 Digital – is Don Draper worried? As every marketing textbook will tell you there are five main promotional tools when it comes to reaching your customer – advertising, public relations, direct marketing, personal selling and sales promotion and all have distinct advantages (and pitfalls). In the real world, outside the textbooks, a hierarchy has developed, certainly when it comes to big brands and their campaigns. Advertising is king, taking the largest share of budgets, driving the ideas and generally providing Mad Men-style glamour. PR has always been the poor relation, while direct mail and sales promotion have been relegated to the bottom of the list, seen as mechanical methods of distributing content. Salespeople rarely see themselves as a promotional tool so have headed off on their own outside marketing’s control. As in many industries, the advent of the web disrupted this cosy status quo, but the model pretty much survived. Web and email were put into the direct marketing category and ad agencies continued to receive fat cheques for their work. But there are now real signs that the world is changing – it isn’t a command and control model anymore. We’re not watching TV (or TV ads) as much (as a recent Deloitte report pointed out most people now have hard drive recorders) and new digital channels, like social media, are much more about conversations and content, not just slick one-way ideas. Adland is worried about losing control – bringing in PR people for their content skills, investing in swish digital agencies and generally reinventing themselves through new services. The question is – can they change fast enough or will savvy PR agencies step up to the mark? Time will tell, but if the PR industry fails to skill up it risks missing out on a once in a lifetime opportunity to lead integrated marketing campaigns.